Our office is based in Amesbury, Wiltshire, ideally located just off the A303 and we have carried out projects as far afield as Berwick-upon-Tweed on the English / Scottish border, through to North Wales, South-West Wales, Cornwall, Devon, Somerset, Sussex, London & Kent so we are well experienced in carrying out works throughout England & Wales to provide a first class service for our clients. We have also carried out numerous projects within our own locality of Wiltshire and Dorset for local schools (both state and independent), parish councils, retail developments & domestic works. A proven pedigree in projects within the leisure, education, retail, industrial & domestic sectors up to £2m in contract value H&B 2000 Limited company ethos ensures the client always receives ultimate satisfaction. 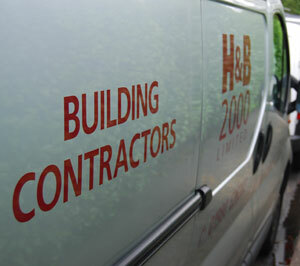 Although dealing generally in projects from £250k up to £2m in value we do offer a personalised service with our MD, Clive Hayward MCIOB, who has over 40 years’ experience in the construction industry ensuring he visits each project regularly in order to keep a regular check on progress.